Both a Level 1 and Level 2 fitting begin with your fitter obtaining important information. 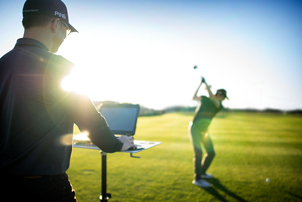 Questions help the fitter identify your ball-flight tendencies, equipment specifications, your likes and dislikes about your current set, and your needs and preferences from new equipment. The dialogue will continue throughout the fitting to ensure that your expectations are being met every step of the way. After the initial interview, Level 1 and Level 2 fittings continue with the fitter determining your initial club specifications based on your preferences, needs and ability. For drivers, fairways and hybrids, you'll discuss the general performance characteristics of different models, lofts and shafts. 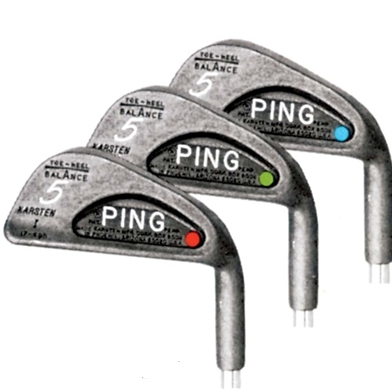 For an iron fitting, your height and wrist-to-floor measurement are taken to help calculate your static iron color code (lie angle) and shaft length, and your hand dimensions are used to calculate your static grip color code, or grip size. 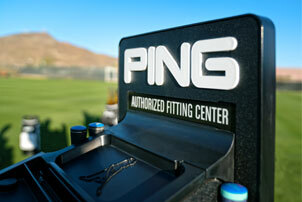 A static fitting can also be performed utilizing nFlight Web, our online fitting application. 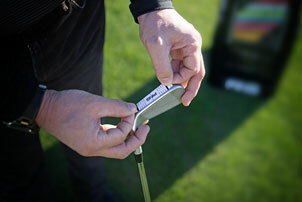 For an iron fitting, you will hit a few golf balls from an impact board with special tape on the sole of the club. When the club hits the board, it will leave a mark on the tape that helps the fitter better understand how your setup, posture, and swing affect the clubhead’s position at impact. The fitter then makes adjustments to arrive at your color code. For drivers, fairway woods and hybrids, face tape or spray is applied to the face and the impact marks are analyzed for consistency to determine the optimal shaft length. Both a Level 1 and Level 2 fitting offer some degree of ball-flight analysis from the driver through the wedges. While a Level 2 fitting experience is more in-depth, the fitter will utilize a variety of clubs with slightly different specifications to isolate each fitting variable. This process helps determine the combination of model, loft, color code, shaft length and flex, and grip that gives you the best opportunity to achieve your optimal ball flight.